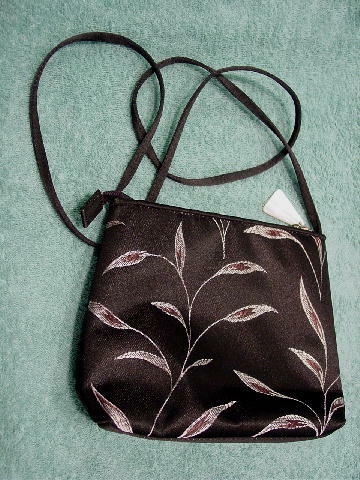 This black background polyester purse has a leaf design in silvery gray and brown stitching. It has a top side to side zipper with a pearly white lucite zipper pull. There is a 45" long fabric shoulder strap. It has a black padded fabric lining with a large zippered pocket.